NFL Betting - What will be Eddie Lacy's encore? What will be Eddie Lacy's encore? Green Bay — It was the final minicamp practice of the spring. Green Bay Packers head coach Mike McCarthy allowed 16 veterans to leave early. And, in a lighter moment, star running back Eddie Lacy moved over to play safety. Lacy, the NFL's Offensive Rookie of the Year in 2013, immediately showed off his skill set, intercepting a pass intended for rookie second-round pick Davante Adams. "I might be trying out for a new position," Lacy joked later. Hardly. In a matter of 12 months, Lacy was the No. 1 reason that one of the NFL's weakest rushing attacks became one of the league's best. Lacy set a franchise rookie rushing record with 1,178 yards. He also averaged 4.15 yards per carry and scored 11 touchdowns. What makes those numbers even more impressive is that defenses loaded up to stop him during the nearly eight full games quarterback Aaron Rodgers missed with a broken collarbone. But Lacy, who has terrific vision, lateral quickness and runs downright angry, didn't miss a beat. With Rodgers sidelined, Lacy averaged 83.3 yards per game and 4.41 yards per carry. He scored at least one touchdown in six of Green Bay's final seven games, and was among the biggest reasons the Packers won their third straight NFC North championship. "Eddie Lacy is an impact player," McCarthy said late in the 2013 season. Lacy was that — and then some. In McCarthy's first seven seasons between 2006-'12, the Packers' average rushing ranking was 21st. Green Bay also went 44 straight games without a 100-yard rusher. But Lacy's arrival in 2013 changed all of that. Green Bay finished seventh in the league in rushing yards per game (133.5) last season. 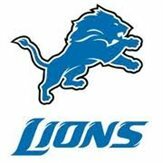 That was the Packers' best mark in both categories since the 2003 team ranked third with 159.9 rushing yards per game. 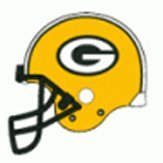 Just one year earlier, Alex Green led the Packers with 434 rushing yards, and Green Bay finished 20th in rushing offense. McCarthy said to put it in "big letters" that the rushing game would be better last season. And thanks to Lacy, it was. Now, the challenge becomes doing it again. "There's no such thing as good enough," Lacy said. As long as I'm able to just go out and perform, whether it's just as good as last year or a little better or a little worse, to me as long as my play is helping the team in a positive way, that's all I really care about. "I just need to regain focus. Don't let what I did last year flow over into this year. It's a new team, it's a new season and a new year pretty much." Today, Lacy is a known commodity. There will be no more surprises. That may not be enough to slow the battering ram, though. On one hand, Lacy (5-foot-11, 230 pounds) is an old school, between-the-tackles, pile-driving back who can handle 300 carries a season. On the other, he has the patience and quickness to make the first defender miss, and gets stronger as the game goes on. No amount of film study and preparation can get foes ready for the first time Lacy throws a shoulder into them. "I know it's going to be a lot tougher than last season," Lacy said. "But we have the greatest quarterback in the NFL, and with him being back there, it's not just like they'll be able to stack the box and focus on me. They have to play him, because if not, he's just going to kill them through the air. So I still think I have a bit of breathing room. "I think it will be tougher, because it's not like you're surprising everyone. When you first come in, people doubt you. They know what you did in college, but they don't know if it will translate to the next level. But once you get that year in and people see what you've done and it's no longer surprising, they're going to prepare for you the way they prepare for whoever else is good at that position." A decade ago, the Packers possessed the NFL's top quarterback-running back tandem in Brett Favre and Ahman Green. Today, the Rodgers-Lacy pairing might only be rivaled by Seattle's Russell Wilson and Marshawn Lynch, and San Francisco's Colin Kaepernick and Frank Gore. Lacy certainly has room to grow. He allowed five sacks last year, and injuries will always be a concern based on his physical rushing style. But at just 24 years old, Lacy's best days certainly appear to be in front of him. "I'm not pressuring myself," he said. "I'm not too much worried about what everyone else expects from me. I have a job and I'm just going to continue to go out and do that." Lacy's arrival pushed veteran James Starks into a more comfortable role of No. 2, where he flourished. Starks made the most of his 89 carries a year ago, averaging 5.54 yards per rush. That was the third-highest in team history, behind only quarterback Tobin Rote (6.88 in 1951) and running back Billy Grimes (5.71 in 1950). Starks, a hero during the Packers' Super Bowl season of 2010, wasn't cut out to be the lead back. The Packers, however, felt he was one of the NFL's top backups and signed Starks to a two-year, $3.16 million deal when he hit free agency in March. "Look at what James Starks did last year, his productivity was the best of his career," McCarthy said. "I thought James did a great job of taking advantage of his opportunities when he was in there. Availability and taking advantage of your opportunities is what I'm looking for." Diminutive DuJuan Harris hopes to return from an injury-plagued 2013. Harris was Green Bay's best back down the stretch in 2012, averaging 4.6 yards per carry over the final four games. But Harris had surgery last June to remove a benign cyst from his chest, then missed the first two weeks of training camp with a knee injury. After just 11 days of camp, Harris ruptured his right patellar tendon and missed the entire season. "DuJuan Harris looks like he's back to full strength," McCarthy said last month. "He's competing to play, just like all the other guys. "I think history will show you that you never have enough good football players. History will show you here that the running back position is a very challenging position to go through the season. I see him as someone that's a part of our planning. Eddie and James did a great job last year with their opportunities, and DuJuan has to fight for his opportunity." Fullback John Kuhn, a fan favorite for years, begins his eighth season in Green Bay after signing a one-year, $1 million contract this off-season. Kuhn is one of the most dependable players on the roster and one of the Packers' top special teams players. And it was Kuhn's blitz pickup of Chicago's Julius Peppers in Week 17 last year that allowed Rodgers and Randall Cobb enough time to produce the game-winning touchdown that lifted Green Bay into the postseason. With Lacy leading the way, Green Bay's talent level and depth in the backfield is its best in years. And that could mean another big year for the Packers' running game. "We want to keep those guys rolling in there," McCarthy said. The more I read the more I like.....strongly considering him for my first round fantasy pick (pick 5). He avg'd 4.1 ypc last year which is pretty avg.........not sure why anyone would waste the #5 overall pick on him. Be careful. I was between keeping him in the 4th or Gio in the 7th. At first I was all in on Lacy. But did some research and decided to go with Gio as he actually gets more fantasy production then lacy on a per touch basis. Yes lacy touched the ball way more last year so killed him in production. But remember Rodgers was out so they went heavy on the run. I don't expect him to get as many touches and probably not as many TDs. Over the years I've seen too many GB RBs get screwed by ARodgers close to the goal line.